And so the mitzvah project begins. You’re all set with choosing a cause, figuring out exactly what you want to do to help and scheduling your time accordingly. The next step may seem daunting -how does a 12 year-old spread the word to family, friends and the local community? TheMitzvahBowl.com has compiled a guideline illustrating how a mitzvah project is best publicized. Speak to your Synagogue’s Educator(s), Rabbi(s), Cantor(s) and Social Action committee about how to get your mitzvah project information out to the congregation. How does your synagogue communicate within? Go to the Executive Director to learn about what is the best and most effective approach. Printed material: Ask about their mailers, Friday/Saturday service bulletin and flyers which are handed out to members and/or school students. Online: Do they tweet, post on facebook or Instagram and have a place on their website for your mitzvah project information? Announcements: Religious school teachers may discuss mitzvah projects in their classrooms or Rabbis may announce a student’s project during services. Does Sisterhood and/or Brotherhood have time during their meetings for you to present your community service idea? Rally friends and family in a variety of different ways. School: Talk to your Principal about how you can promote your service project through your middle school. Typically, the PTO may help by featuring your venture in an email newsletter or your peers may announce your project’s needs’ over the loudspeaker. Family: Call or Send an email out to all of your family members explaining your cause and what they can do to help spread the word. Make suggestions to them including posting it on their Facebook or Twitter account, contacting their friends or forwarding your email description of your project to their colleagues. Friends: Use social media sites which are popular with your peers such as Instagram to talk about your mitzvah project. Comment on ways your friends can help you with your community service venture. Blast information out to your community. Contact (or have your parents contact) local newspapers. Typically local news outlets feature a ‘person of the week’. Perhaps you or your parents will sell the idea of featuring you and your mitzvah project for this feature. If it’s a newsworthy item, reporters will get excited about it and help you promote your cause. Would your parent’s workplace be amenable to helping spread the word? If so, be prepared to distribute flyers or a link to a website so they may share your mitzvah project with other employees. 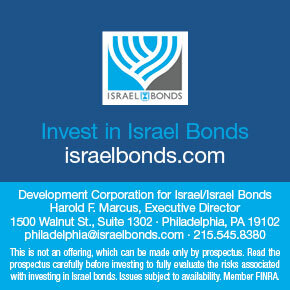 If you are helping a non-profit as your mitzvah project, ask how they can boost marketing for your efforts. Inquire about posting a video or photos of your project’s progress on their website. -It is well-known in the social media world that videos and photos on Facebook, Twitter and Instagram attract more views than a text post. -Think about what makes your project stand out from others. A unique, attention grabbing message will gain momentum easier than a simple post. -Don’t be scared to contact a news reporter on a local or national level. The worst thing that can happen is they say ‘no’. Keep plugging away and assume for every 10 ‘no’s’, there is a possibility of a ‘yes’ on the horizon. Contact info@themitzvahbowl.com to share your story too! We enjoy publishing your mitzvah projects on our blog! 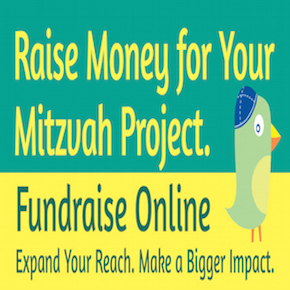 Do you have more input for publicizing a mitzvah project? Email us as we enjoy hearing your feedback. This entry was posted in Uncategorized and tagged blasts, community, how to publicize, mitzvah project, newspaper articles, person of the week, publicity, rallying friends and family, school, social media, synagogue on April 9, 2015 by Cheryl.